SAN DIEGO—Powerless to escape the frenzied women who had singled him out, area man Charles Wieland, a frail and solitary bystander, was reportedly targeted Wednesday by a pack of female friends who wanted their picture taken outside a local seafood restaurant. 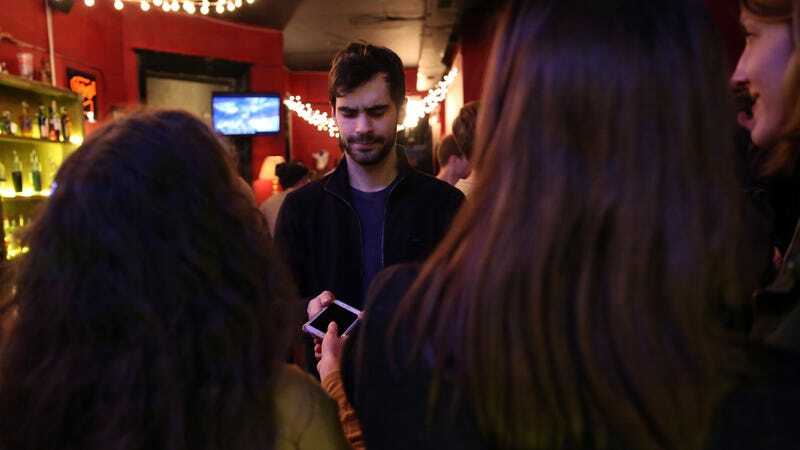 “Can you take our picture?” several of the women asked simultaneously, having scanned the crowd and instantly identified Wieland as a feeble man who would be incapable of putting up a defense when descended upon by a wild, chattering group of friends with outstretched smartphones. “Just push the button. But wait till we’re ready.” At press time, the pack of friends continued to publicly display their dominance over the powerless and ineffectual Wieland by ordering him to take a few more.